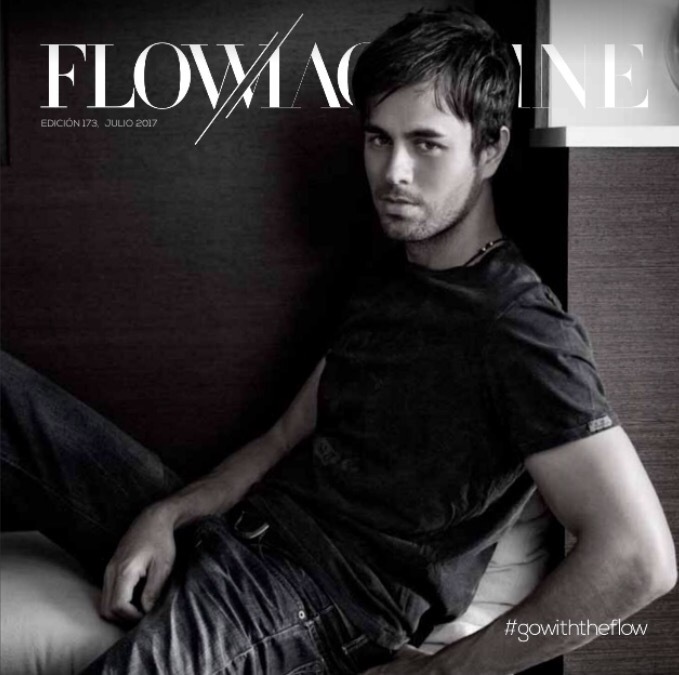 Enrique Iglesias Talks With ‘Flow Magazine’ about Music, Touring and Fans! 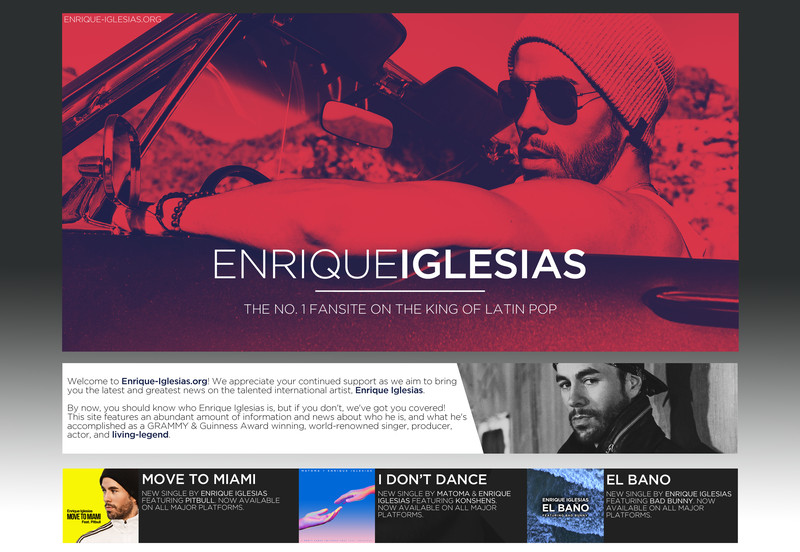 Enrique Iglesias recently spoke with Flow Magazine about music, touring and his fans. What do you consider to be the main challenge facing music at a international level? The challange we all have is to set a trend, to bet on quality, to follow our intuition. Be honest when it comes to making your music, only you can continue to love your audience. To what characteristic do you think is linked to the success of “Duele El Corazon” to make it a sensation in both billboard and other platforms? I would like to be able to decipher the phenomenon of success but it’s still a mystery. Duele is one of those songs that comes to you from the first chord, it is also a combination of nostalgia of lyrics with melody. “Bailando” or “El Perdón” are other phenomenons, and now with “Súbeme La Radio” in English is number one in England. Are more songs with Pitbull coming? Many, many more concerts for now, but for the future? Why not! Social networks have created a new music phenomenon. Do you think they will transcend or only be momentary? Social networks arrived to stay, they are a double-edged instrument that you have to know how to use. To me personally I love the immediate way I can connect and interact with my fans all over the world with just one single post. 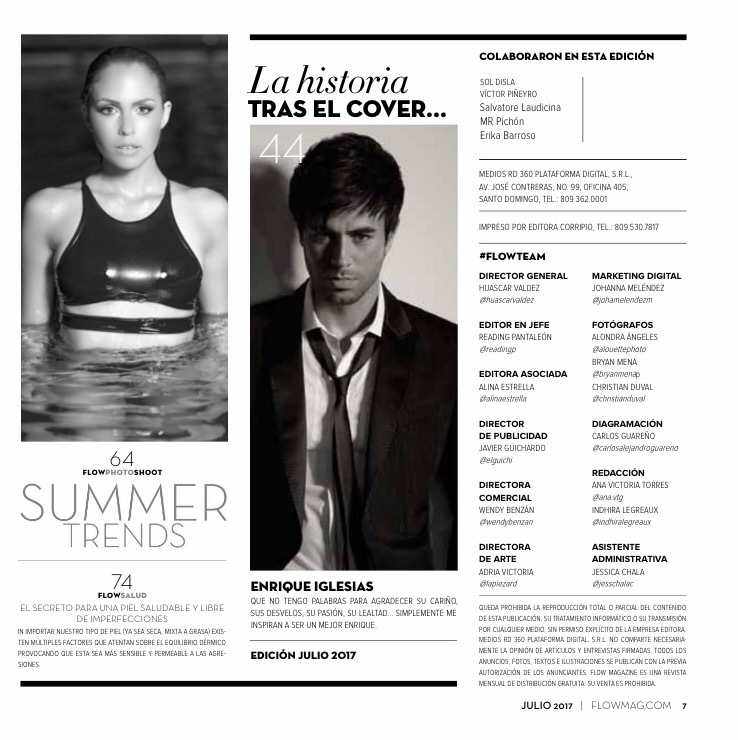 How is Enrique’s agenda for the rest of this year? For the remainder of the year I expect a fairly tight schedule of concerts. A new single with a new collaboration that I hope you like a lot. When will you return to the Dominican Republic? Tell the promoter to take me, every time I go to Dominicana I have a great time in every way. What would you say to those fans who are currently reading this? That I have no words, I want to thank them for their affection, their care, their passion, their loyalty … they simply inspire me to be a better Enrique. Confess to our readers.. what would you like them to know about yourself, that you still have not said? I am a open book. And I like to be sincere and transparent. We see you very involved with social causes, such as Save the Children for example, where did this initiative come from? Since I had the incident with the drone in Tijuana, I understood what it was like to be in a crisis situation in which you need urgent help. If you have the resources you can get help, but if you do not have them your life is crushed. So we joined with Save The Children and if my heart t-shirts we can help a child, or five or a thousand and to help guide their lives, believe me that makes me very happy. Through your networks we have met Mad Max, how are your pets? Those dogs are the heads of the house. The animals have a special gift. They are loyal and unconditional friends, who follow you and wait for you. They are part of my family, they are my oasis to relax. With what is the heart of Enrique? My heart is my fans and with Anna. Who falls in love with Enrique Iglesias? Do you see marriage and children in your future? I’m fine where I am. Marriage does not guarantee happiness. On the stage, which characterizes Enrique? I think my passion is with being close to my fans. When you are no longer here, how do you want to be remembered? As an artist who was affordable and who feared nothing to reinvent himself for his fans. My life is not normal. When I can, I sleep all I can. When I have free time I escape to the sea. When I’m not on the plane from country to country doing what I love. What routine do you do to keep your figure? I think I got the genetic lottery. That you never lose that essence that is so beautiful and it is human warmth that makes us all feel at home since we first stepped onto the country.